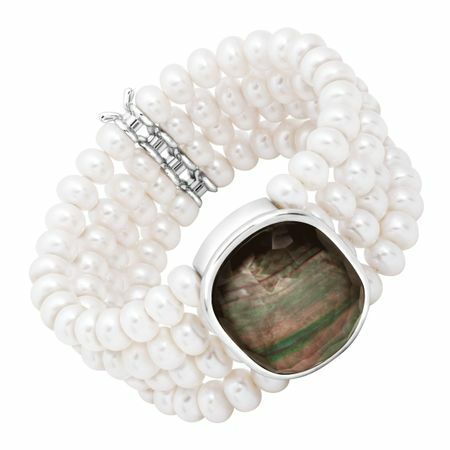 Make a statement in pearls with this substantial bracelet! A white quartz over black mother-of-pearl doublet is suspended on four rows freshwater pearls in a setting of sterling silver. Piece measures 8 by 1 5/16 inches.